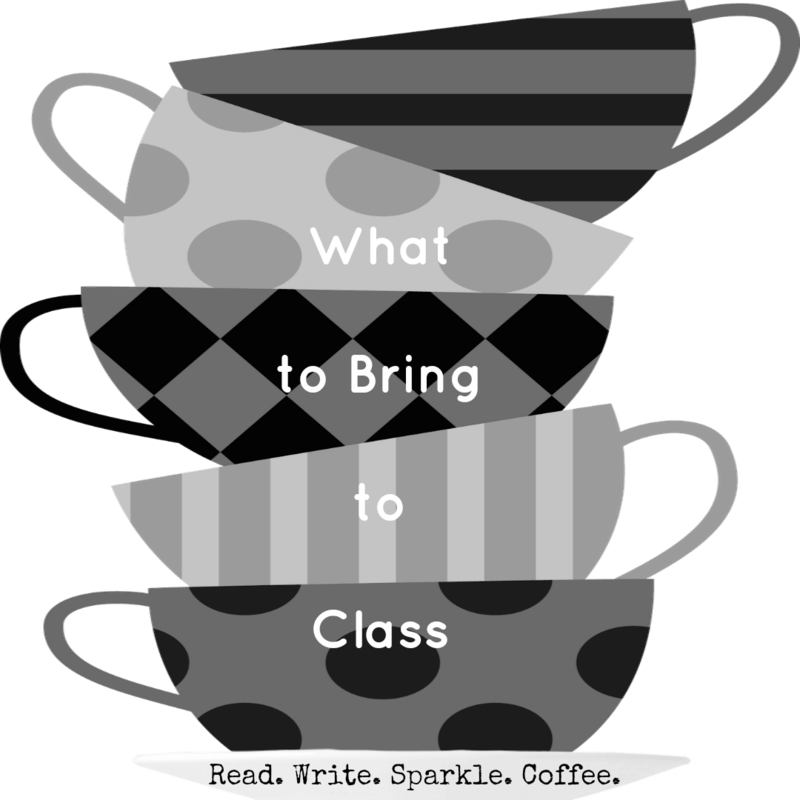 It is the day before Spring Semester 2017 to begin, so I am getting caught up on laundry, completing some cleaning tasks, and preparing things for my classes. I thought I would take a break and share with you what I bring to class everyday, it makes things so much easier when you have everything with you. A. Backpack - I found this Jansport cutie at Target yesterday on clearance ($19.98). I love how the bottom is black keeping it from getting extremely dirty from the classroom floors. This backpack has the ability to hold a full-size laptop up to 15 inches in a padded section and has two separate sections for books/ binders as well as an organized outside pocket. What an exceptional deal! B. iPad & On the Go Charger - My iPad this semester holds most of my textbooks, my One Note App for note-taking, and my class planner. The on the go charger is a must, as I am using my iPad ALL the time! C. Kate Spade Bag & Essentials - I found the Kate Spade mini bag at Barnes & Noble last semester and absolutely love how slender it is to slip in any bag I am using. It was $30 but the quality is absolutely amazing, not a simple tear or rip. I tend to have to replace my bags frequently due to too much wear and tear. Inside I keep the personal must haves (feminine products, Tylenol, chap-stick, lotion & Kleenex). Most days I carry my purse with me, but it is nice to have extras of such items. D. Fun Reading Material - Extra time in between classes or library study breaks require something different. At the moment, have my Just Jewelry Catalog and NCTE Voices magazine. 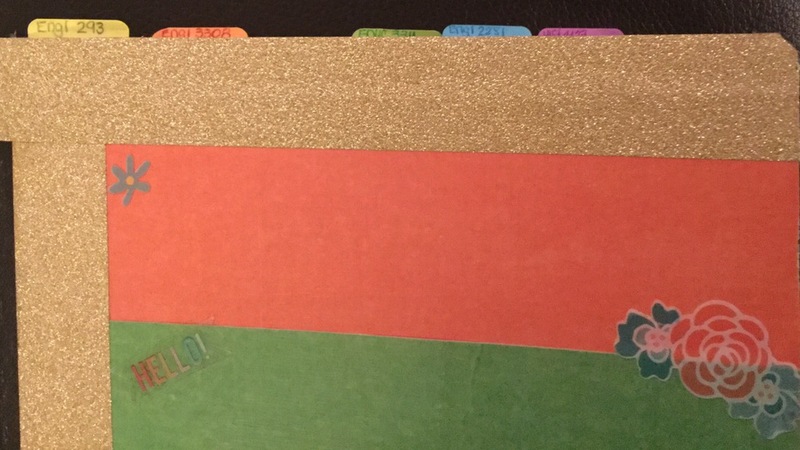 G. Post It Notes, Hole Fixers, Page Markers, Hole Puncher, Ring & Index Cards - I love the post it note container that appears as a compact, it also has a mirror. It keeps my post it notes from getting all bent up inside my bag. 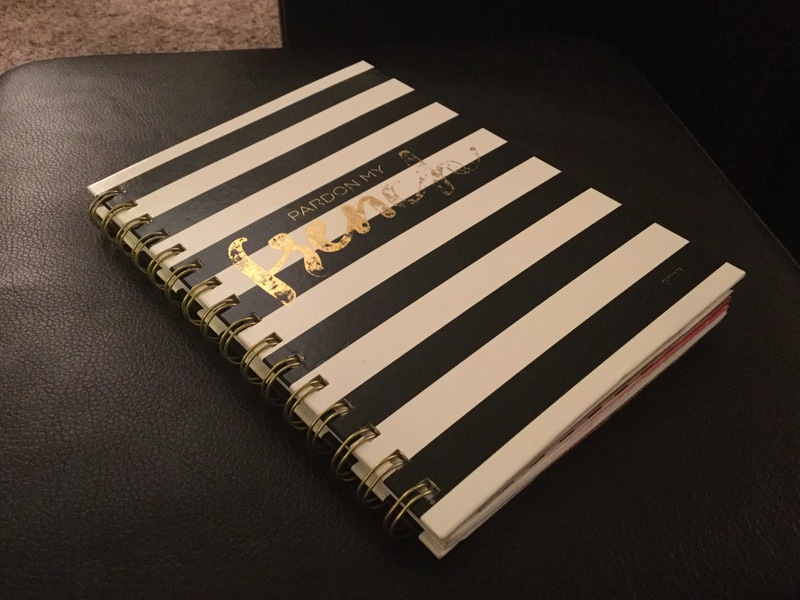 I. Planner, Notebook & Binder - I discuss there usage in this post, check it out! So there you have it! 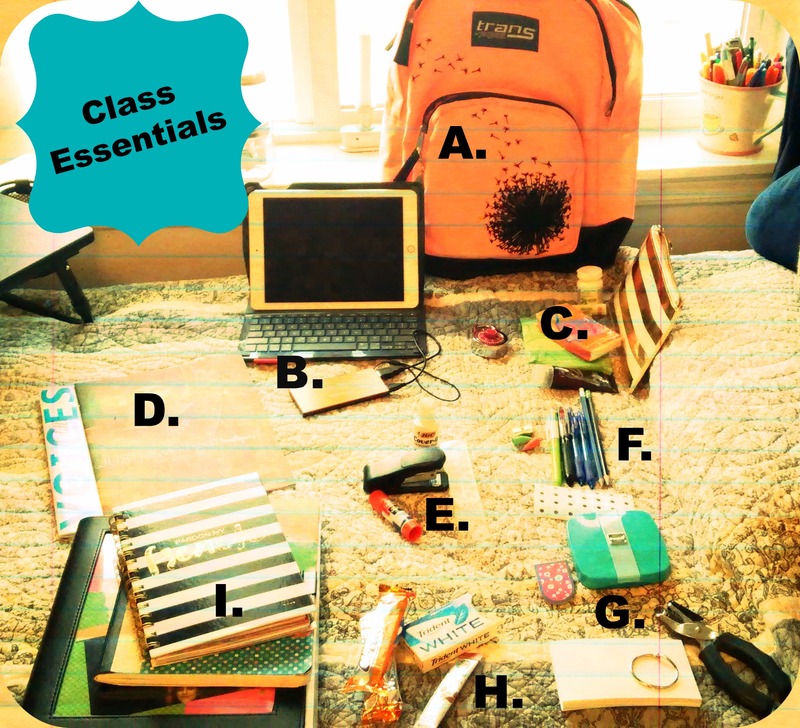 What do you find is essential to have for your classes? Please let me know in the comments! As I begin to countdown the last days of my Christmas Vacation, I begin to prepare for Spring Semester 2017. This semester I am going to use a combination of my composition notebook (which has a page for each day for each one of my 5 classes) and my One Note App on my iPad. 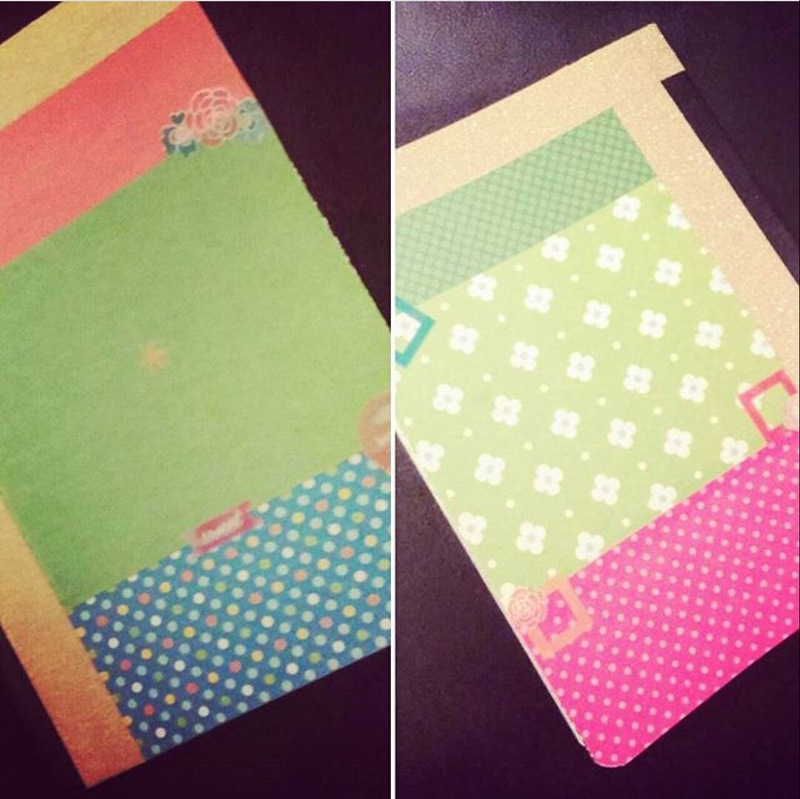 Between the two, I will be able to place all of my notes for the classes I attend and have online. I will also be using a smaller size planner this semester as I will be mostly using google calendar on my iPad as well. 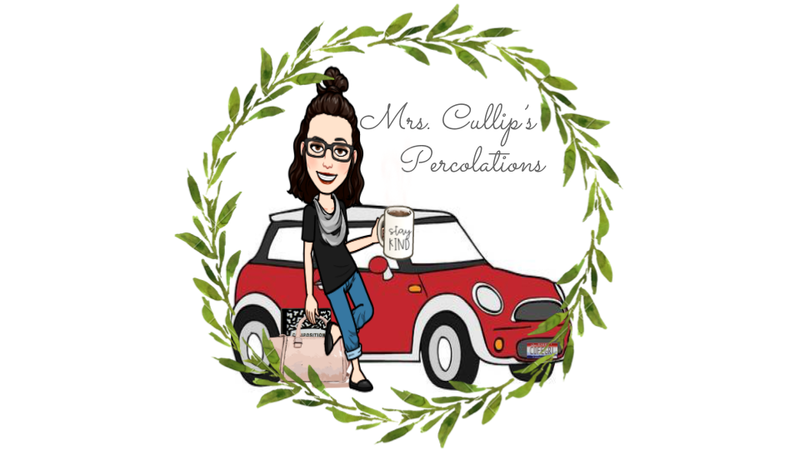 I am trying to integrate more technology (mostly so I do not have to carry a ton of items back and forth) and so that I am more comfortable with One Note and Google Calendar as a teacher. I love having it accessible to me no matter what technological device I am on! 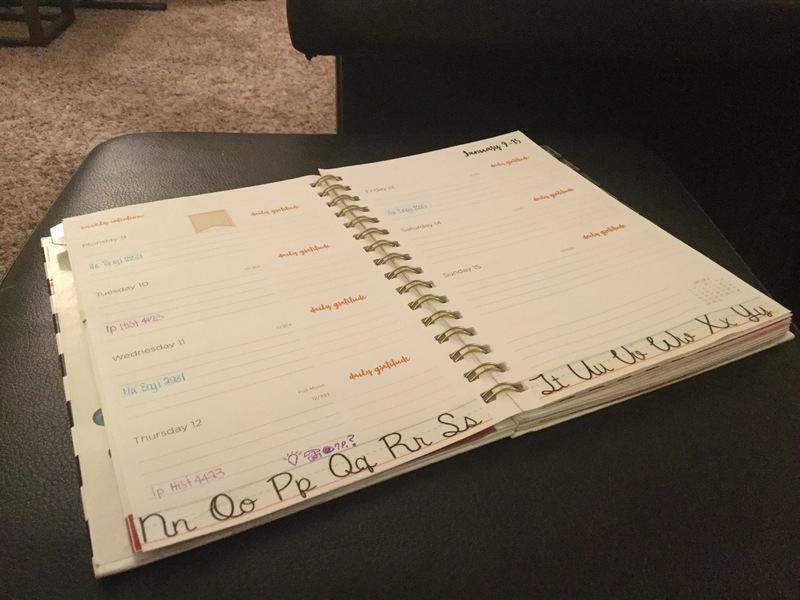 I am not quite ready to eliminate the physical notebook and planner.. I love having the option to write things down when I can. 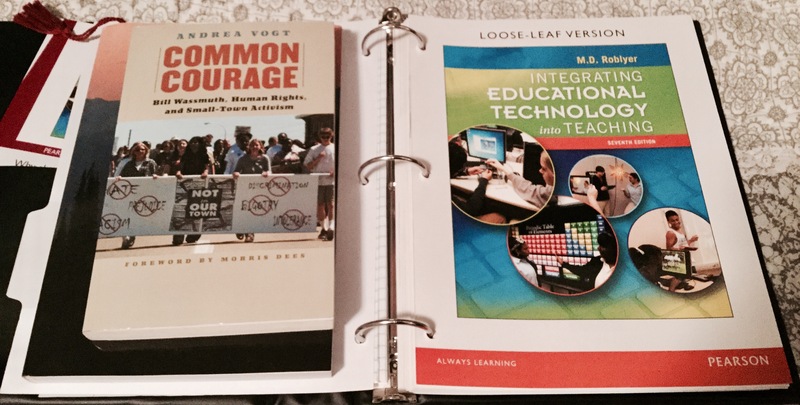 My textbooks are also split between Kindle and paper textbooks (only because the kindle version was not available). This keeps my back from breaking! I just love reading my textbooks on my kindle, iPad kindle app, or the kindle app on my computer. Again, technology making my studies accessible no matter where I am located; home, school, in the truck, Starbucks, etc.. I have got preparation down so it does not take me as long as it use to and I am not changing much since everything seems to be working quite well. 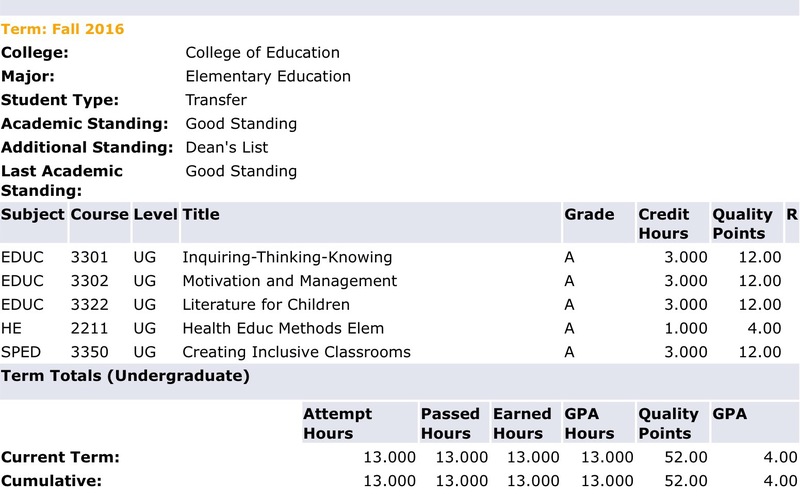 I received a 4.0 during Fall Semester at ISU and made it on the Dean's List. 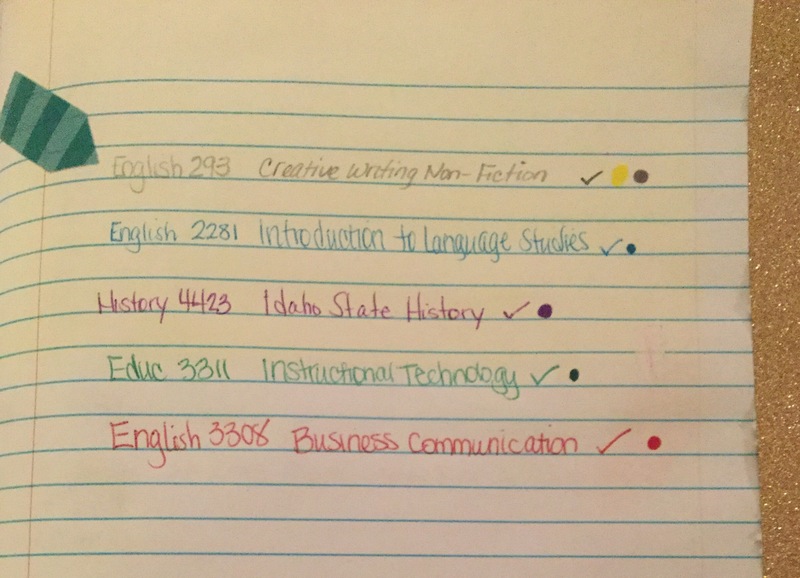 I would like to say that my organization skills, with the tools that I am using assists me in making the perfect grade. I constantly feel that I am aware of what I need to be doing. I also received a 4.0 A in my American Literature class taken through College of Southern Idaho[/caption] Spring Semester 2017, I will be taking 4 classes at ISU and 2 at CSI (Yoga + those pictured below). 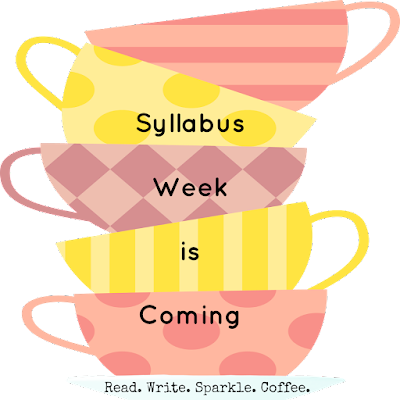 Classes at ISU begin next Monday, January 9th and CSI classes begin Tuesday January 17th! 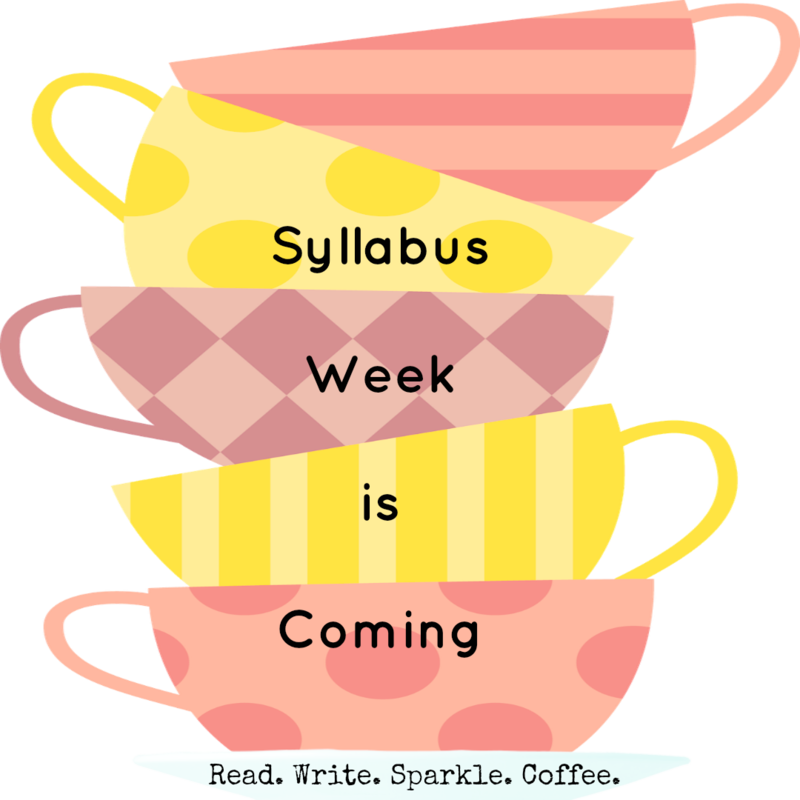 Syllabus week is quickly approaching, I better squeeze in a little more Netflix binging.... What do you do to prepare for the semester?